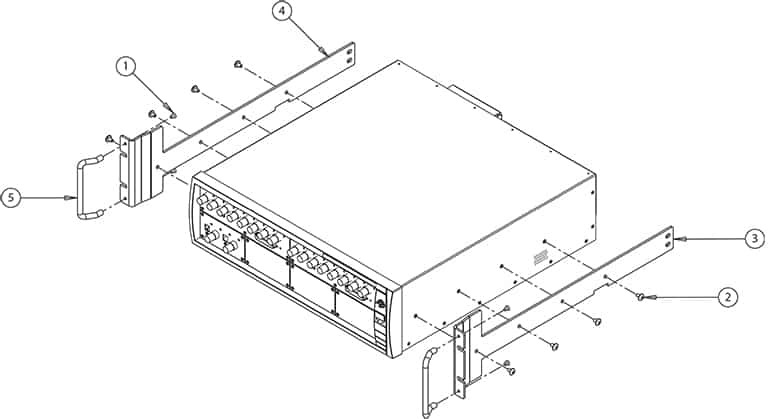 RAK-APX sliding rackmount kit for APx500 Series instruments (except APx515). The hardware included in this kit allows Audio Precision APx Series analyzers to be mounted using slide-out, rackmount adapters. RAK-APX-EARS rackmount kit for APx500 Series instruments (excluding APx511 and APx515). RAK-515 rackmount kit for the APx515 audio analyzer. RAK-S2 rackmount kit for 2700 Series instruments. Includes both fixed brackets and parts to integrate with user-supplied chassis slides. Will also fit Audio Precision System Two and Cascade instruments. Note: The slide-rack mounting kit is intended to be used with Chassis Track C-300-S Series non-pivoting solid bearing chassis sections from General Devices Inc, Indianapolis, IN. 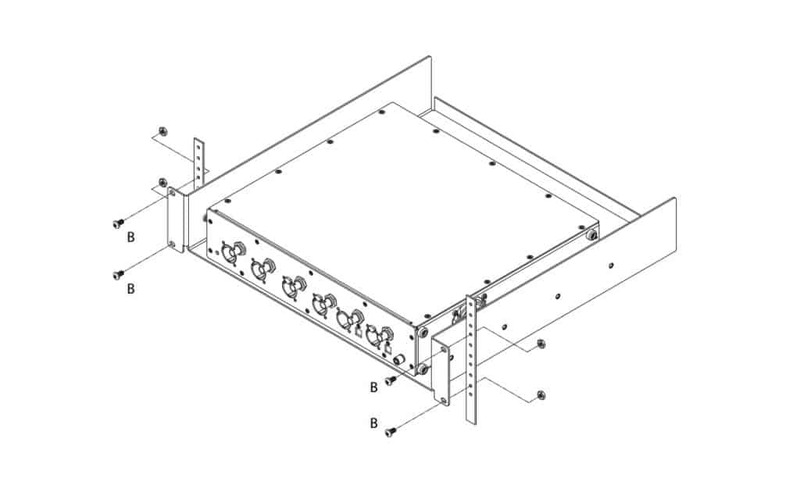 These chassis sections are available in several lengths to fit a wide variety of racks. RAK-12 rackmount brackets for DCX-127. Will also mount GAT-1, SIA-322 and SWR-122. RAK-212 rackmount brackets for SWR-2755, SWR-2122, PSIA-2722, AUX-0025, and DCX-127 accessory hardware. RAK-212 brackets allow mounting the switcher flush with the front of the rack, or set back to keep connectors inside the rack. RAK-100 rackmount kit for the AUX-0100 Measurement Filter. 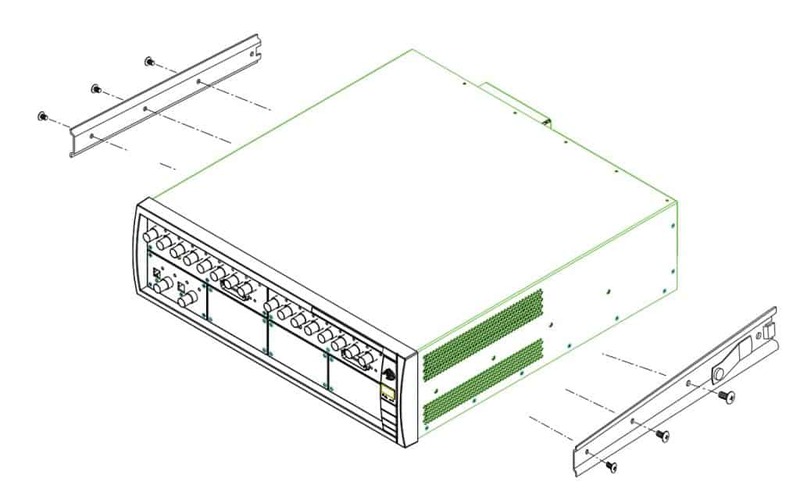 For AP 2700 Series, System Two Cascade Plus, System Two Cascade, ATS-2, and various accessories (switchers, DCX-127, PSIA). All APx Series analyzers are connected directly to the control PC by USB and do not need the adapter, though APx uses the USB adapter to control switchers. • Adapter to connect APIB interface on AP instrument to controlling PC via USB rather than an APIB card installed in the PC. • Includes USB cable, DB-25 APIB cable and software discs. • Select option “USB interface” when specifying new instrument or to order separately for existing systems request the “USB-APIB Adapter” from Sales Partner. • Requires AP2700 v3.30 or ATS v1.60 or later, so it will not work with analyzers earlier than System Two Cascade. 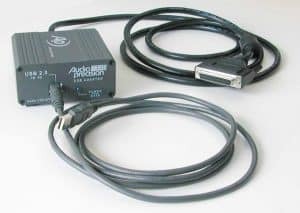 The USB-APIB adapter includes both a USB cable and a 2-meter APIB interface cable, used to connect the interface adapter to the instrument and to daisy-chain accessories such as the PSIA, DCX-127, or switchers. Additional cables of different lengths are also available.